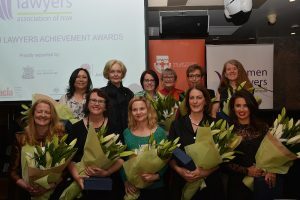 Our panel will discuss their career journeys, particularly since they were the recipients of a ‘NSW Women Lawyers Achieve ment Award’, and how that may have affected them or their careers. 2009 ‘Highly Commended’ Special Judging Panel’s Award – Maureen Peatman, Partner at Hunt & Hunt. Please click here for the flyer with further details. FREE Event – bookings essential. Limited places.